Who has never played Briscola or a Scopa? 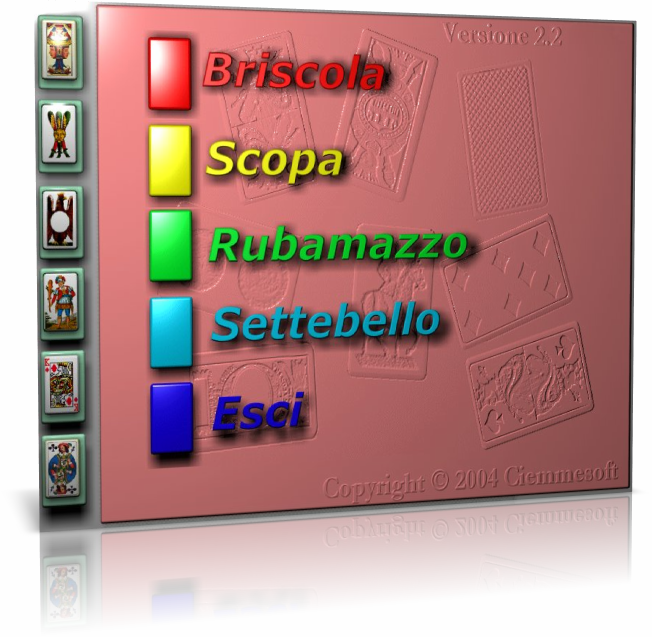 This pack contains 4 classic traditional Italian games in 3D format. Briscola, Scopa, Rubamazzo and settemezzo. You can play against the computer and you have 6 decks of different cards.